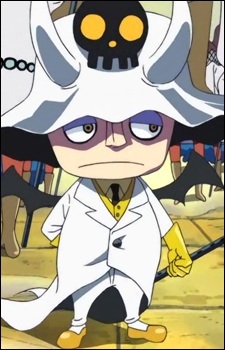 Saldeath is a World Government employee in the world of One Piece. He is a Chief Guard in command of the Blue Gorillas of Impel Down. Due to the way his name is pronounced in Japanese, it sounds like "Saru Desu" (猿です) meaning "I'm a Monkey".